You worked hard all last year. It’s time to shine a light on your awesome work! We’re looking for your best VFX and post work from 2018. Clips chosen for the final reel will be featured on our website and on loop in our booth at NAB. 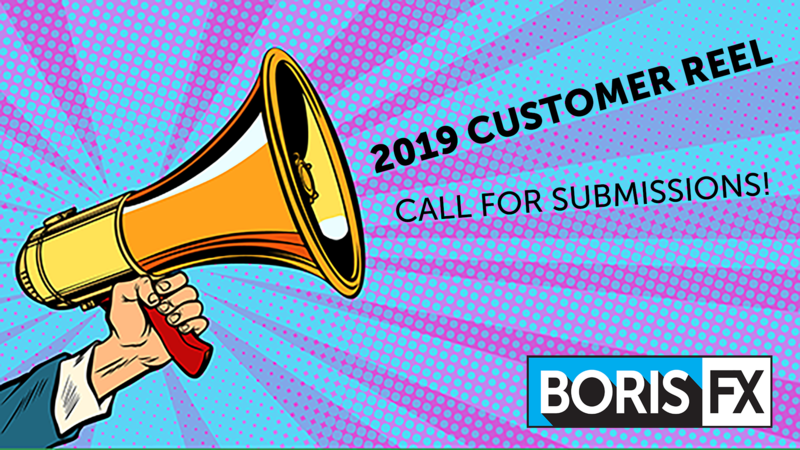 Submit your clips to content@borisfx.com with subject line “Boris FX 2019 Customer Reel.” Clips must include examples of Sapphire, Continuum or Mocha. Deadline: April 1, 2019. Customers featured in the final reel will receive a free one-year subscription to the Boris FX Bundle (Sapphire, Continuum, Mocha Pro) valued at $1195.